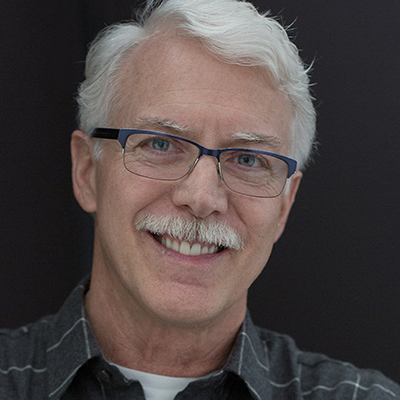 A precise force, at the right time and place, revives your ability to self heal At Stay Well Chiropractic, Dr. Ted Marriott is THE chiropractor on site and the one that will take care of you. He prides himself on treating each patient with a gentle, customized approach and provides them with the care they need. He focuses on finding the root of the problem and applying the technique that will help alleviate the problem. He fine tunes his skills and techniques every year by attending post-graduate education courses and seminars with the latest advances in the field. Don't let pain overtake your life. Improve your health. Trust a gentle Pasadena Chiropractor with 25 years of experience. How long you wish to benefit with chiropractic care is always up to you. We use the Activator Methods Technique which is one of the most popular “low force” chiropractic techniques in the world. 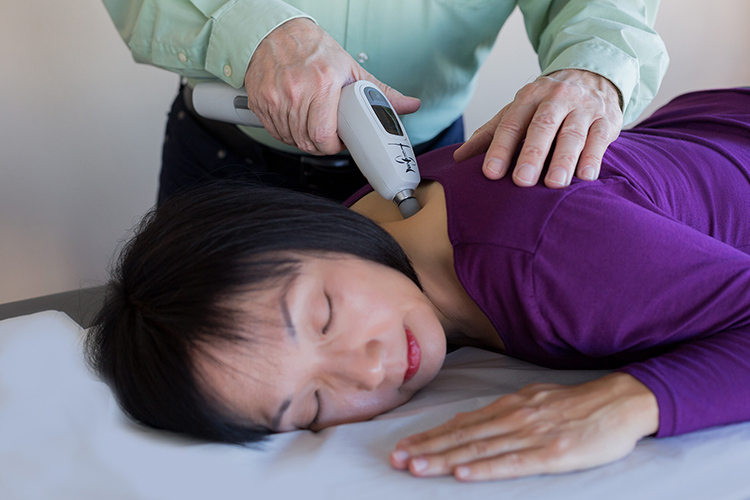 Activator methods provide a specific type of adjustment that uses a Medicare-approved Activator instrument to apply a gentle, low-force adjustment. The adjustment is extremely safe, and best of all—highly effective. Activator Methods are supported by a body of university-based clinical studies and research. This unique hand-held instrument has a rubberized tip for comfort and provides a gentle joint adjustment with a minimum of force. There is no cracking of the joints needed as with traditional chiropractic care. 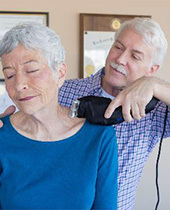 It is safe for the elderly and most effective when given by a proficiency-rated Activator Chiropractor following the Activator Methods Protocols. Click here to see Dr. Ted's credentials as a highly rated doctor in this method. After your adjustment, the doctor retests to make sure corrective changes have been produced. Testing afterwards helps us deliver high-quality care and high levels of patient satisfaction. Consider an Activator chiropractor for any pain or discomfort related to the spine or the extra-spinal areas such as jawbone, knees, or wrists. With Trigenics®, your nervous system is treated to reset the way your brain communicates with your body. Trigenics® incorporates a gentle synergistic combination of contemporary western and ancient eastern manual medicine methodologies with recent advances in functional neurology. Your brain sends signals down through your nervous system to control all the systems of your body including your muscular system. There are nerve sensors in your muscles which send signals, called “reflexes”, to the brain telling the brain what the muscle is doing in order to coordinate movement. The unique Trigenics® combination significantly accelerates healing and often helps where all else has failed! When muscles undergo stress or injury, their sensors stop sending proper nerve reflex signals to the brain. These muscles then become neurologically short or weak causing improper joint movement through a process called “neurological inhibition” or “NI”. When muscles are in a state of neurological inhibition, they will not strengthen or stretch fully with exercise or rehabilitation. “NI” may not always be immediately perceptible but it will eventually lead to weak links in the muscle movement chain which will lead to injury, pain and/or deterioration. Your Registered Trigenics® Physician/Practitioner or “Trigenist” is fully trained to be able to detect neurological inhibition. Once assessed, the Trigenist will have you lightly exercise using specific resisted movements during your treatment to generate your own neurological reflexes. Then, through application of a sophisticated combination of 3 neuromanual medicine techniques, he or she will manipulate and redirect your nerve signals to effectively “reset” the way your brain communicates with your muscles and body. If tension imbalance due to neurological inhibition of spinal muscles is not first corrected, the bones in your spine can again quickly become restricted following joint manipulation. Because “NI” is not corrected by mechanical deep tissue massage or muscle stripping therapies, the nervous system must first be reset using Trigenics®. Muscular “knots’ and adhesions are then more effectively treated using massage or soft tissue release techniques. With Trigenics®, joints begin to move properly again without forceful manipulation or with only light mobilization. Your bodies energy systems are also balanced and enhanced. For this reason, Trigenics® is referred to as “ the missing element ” of total-body care. There are two reasons to wear them. The first is correction Custom orthotics can be used to correct physical problems in the body caused by imbalances in the feet. The second is prevention . Many people wear them in order to prevent health problems and to improve performance in the body and with athletic activities. When you walk you are putting 1-3 times your body weight iunto your foot joints., When you run you are putting 3-5 times your body weight into your foot joints. When you participate in high impact sports like basketball, volleyball, gymnastics, etc., you can put 4-7 times your body weight into your foot joints. Because of these high levels of stress, professional athletes use orthotics to prevent injuries and enhance performance. Many people find that with custom orthotics they are able to perform their "weekend warrior" athletic activities and exercise with less pain, stiffness, and soreness. Anyone can benefit from wearing custom made orthotics. There are many different styles of orthotics to meet a variety of needs. Some are more rigid for increased control of your feet while others are soft and flexible for comfort. Some are made for sports activities to reduce high impact stress in the feet, iknees, and spine. In the clinic we can help determine what style is best suited for your individual needs. How will a custom made foot orthotic fit into my regular shoes? There are different styles of orthotics available that are designed to fit a wide variety of shoes. Orthotic styles range from athletic shoes to men's and women's dress shoes to pediatric and diabetic shoes. Sometimes, depending on the specific orthotic therapy required, a different type of shoe might be recommended. What is the difference between off the shelf store bought orthotic insoles and custom made orthotics? Store bought orthotic insoles, although somewhat helpful, are generic in size and contour. Custom made orthotics are made specifically for your feet and are designed to meet your individual needs. Rapid Release Technology utilizes a high frequency, high speed vibration instrument that is gentle on the body and relieves minor aches and pains from head to toe. It is quick and versatile and the positive results are usually felt immediately. When I moved to the Pasadena area back in April 2009, I was looking for a good Chiropractor that used the activator technique. I have never been fond of those chiropractors that like to do the "crack" method, it freaks me out. I was basically raised up with a family chiropractor that always used the activator technique, so I was very much used to it and obviously prefer it. Dr. Ted Marriott was recommended to me by a fellow Pasadena resident. Dr. Ted is the most kind, nurturing, attentive doctor that I have ever come across. He actually cares about what is going on with you and your life. He also helps to find out what the cause of your muscle and bone problems are instead of just insisting that you keep coming back for more and more visits, without ever solving the problem. His pricing is very affordable and takes most insurances. He also provides specialized stretching (can't remember the technical term for it), foot orthotics, and a new product called, "cold laser therapy" which is amazing! I was a little skeptical on the cold laser therapy at first until I tried it. It's exactly what it sounds like, "cold" (no heat involved) lasers that Dr. Ted applies to whatever the special spot on your body is that needs treatment (usually chronic pain areas), in my case my neck area. Within a couple of visits with the Cold Laser Therapy, my chronic neck aches were dramatically reduced.